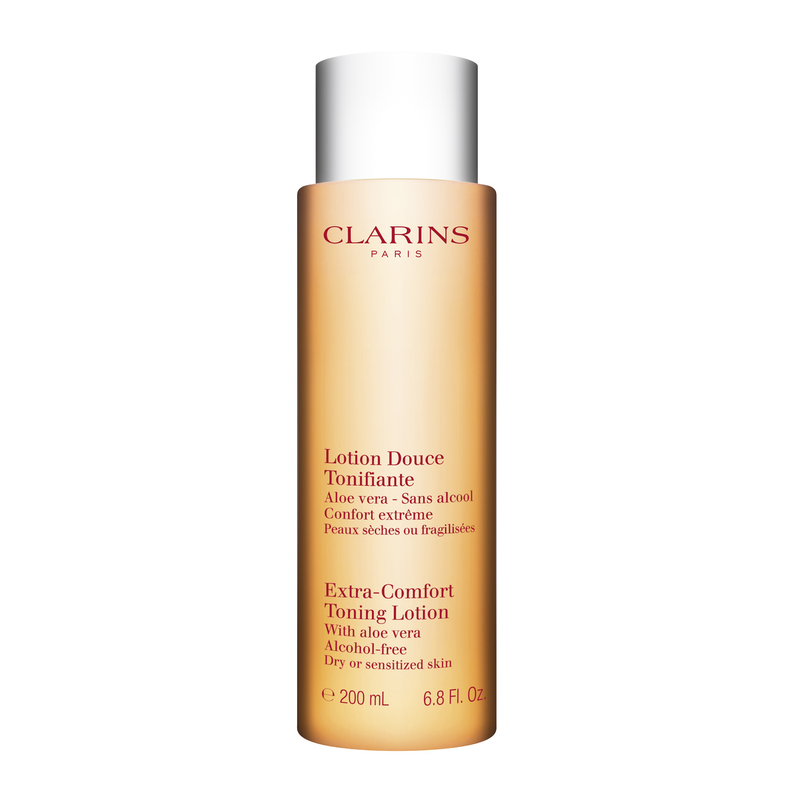 Clarins Extra Comfort Toning Lotion With Aloe Vera is a toning lotion tailored for dry and damaged skin. A soothing toner with comforting Linden, Sweet Almond, Marshmallow and Mango. This toner rinses-away every last trace of Extra-Comfort Cleansing Cream, leaving skin moist, toned, clarified and perfectly refreshed. Dry or sensitive skin glows with renewed radiance and clarity. Gently cleanses, tones softens and soothes the skin. Marshmallow has outstanding soothing effects and also rich in soothing substances. Aloe vera soothes and hydrates the skin.